Telecom network contracts have grown complex in their scope and nature over the past decade. Considering the value involved in each contract, it is important for Telcos to have deep visibility into every term of each contract and map each asset accurately to the respective terms. Failure to achieve this will result in poor performance and significant loss in OPEX. 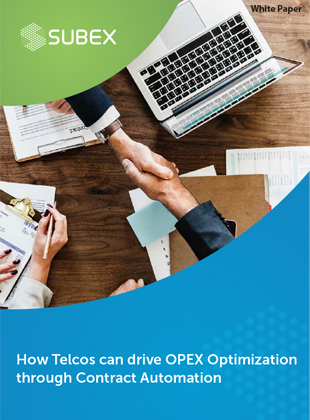 This whitepaper discusses the pain points involved in managing the Telco contracts and suggests a proactive contract management strategy which is powered by intelligent analytics capabilities, enabling Telcos to gain deep understanding of the contract terms and renewal processes to save OPEX and drive better negotiation with vendors.